200 Cambridge Park Drive is a 200,000+ square foot office building spanning six floors in a highly competitive commercial real estate market outside Boston, MA. The property’s amenities are crucial to keeping its discerning tenants happy. 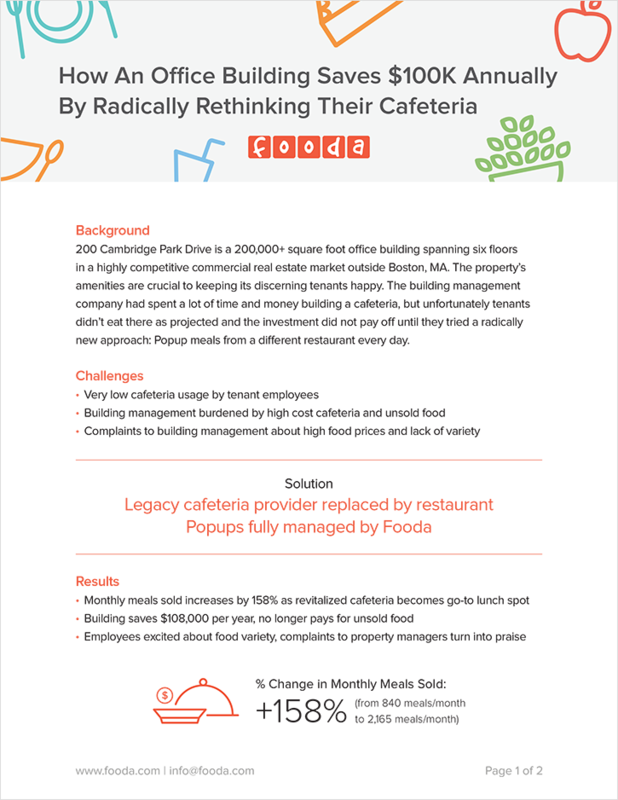 The building management company had spent a lot of time and money building a cafeteria, but unfortunately tenants didn’t eat there as projected and the investment did not pay off until they tried a radically new approach: Popup meals from a different restaurant every day.